In Ethiopia – a country of over 100 million – about 1 in every 600 babies is born with a cleft lip and palate. Children born with cleft commonly develop speech and communication problems, even after their repair surgery, and require regular, long-term speech therapy to learn to communicate clearly. 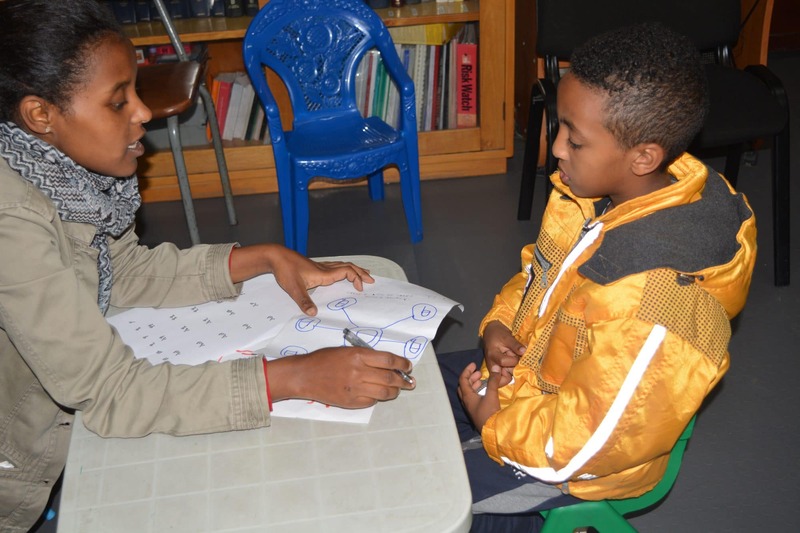 We know that speech therapy is an essential part of a patient’s rehabilitation, but our Ethiopian partner faces many challenges in delivering speech therapy. Currently, there is only one speech therapy unit in the country, who works with the Cleft Unit at our partner hospital. This means, there remains a critical unmet demand for speech therapy services. TF and our partner are addressing this challenge. TF and our partner, Yekatit 12 Hospital have been working towards increasing the sustainability of Ethiopia’s speech profession. Together, we developed the country’s first-ever undergraduate speech degree program at Addis Ababa University. As a result, 14 students were successfully enrolled in the first and second year of the 3-year program (7 students per year). All seven third year speech students are scheduled to graduate in early January 2019, and will be the very first cohort of locally trained speech graduates in the country’s history! During the students’ summer break, our long-term Ethiopian partner, Yekatit 12 Hospital organized a summer internship program for all seven third year speech students, prior to their scheduled graduation in January. This gave students the chance to get hands-on experience treating cleft patients! They participated in an intensive speech cleft training program, led by three of our incredible partners partners: Berhane (the country’s only qualified speech therapist), Hirut (the cleft unit’s social worker), and Bezuwork (the cleft unit’s speech assistant). The purpose of this internship was to provide the speech therapy graduating students a chance to work directly with cleft patients, to practice applying the therapy strategies they learned in school, and to learn hands-on skills that are vital to providing professional care. The students shadowed the professionals at Yekatit 12 Hospitals Cleft Unit, and upon completing of their observation training, they were given the opportunity to start providing speech services to cleft patients under supervision of the Cleft Unit’s staff. They have now received firsthand experience in patient assessments, reporting, delivering speech therapy and making recommendations for the parents and children to continue practicing at home. 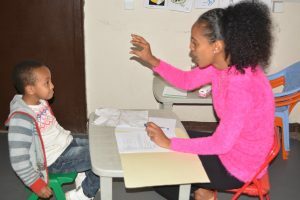 Ethiopia is now on the cusp of a significant breakthrough: moving from one single qualified speech therapy in the country, to 8 trained speech therapists once the first undergraduate class completes their studies in January 2019. What’s more – all of these speech therapists will have experience and expertise in cleft care – thanks to Yekatit 12’s internship program.